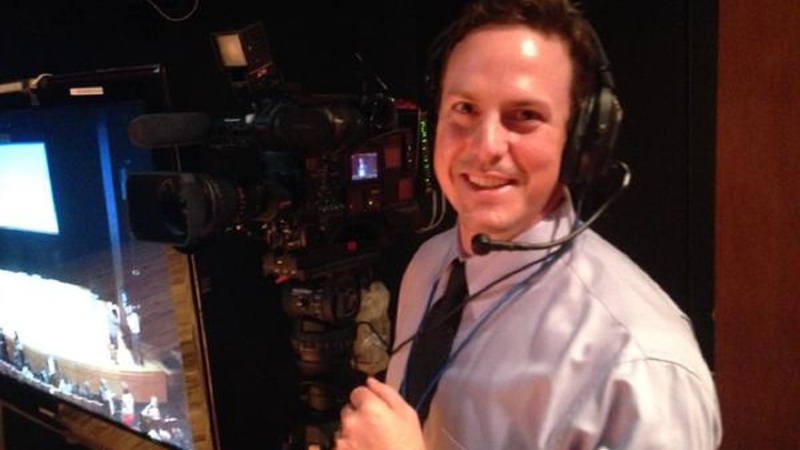 Get to know the ABC-13 meteorologist! Get to know ABC13 meteorologist Travis Herzog as we put him on the spot and asked him these fun questions! My first car was a hand-me-down from my dad. It was an old work vehicle, and it was a Chevy Astro. And there was a cage in the back because he had all these books and parts he'd have to store back there. So people would be like, "What did your dad do? Is he like animal control? What's with the cage, Herzog?" I had a lot of fun in that in high school. 3. Did you ever get a speeding ticket in it? Not a single ticket. And still to this day, (knocks on wood) not a single speeding ticket! Follow my example, kids! 4. What's your favorite holiday? My birthday? Is that a holiday? No. My favorite holiday is Easter because it's central to my Christian faith. San Antonio! Soy de San Antonio, Texas. Ooo! That's a tricky one. I have food allergies so there's a lot of places that I'd like to go eat that I can't. But a place that my wife and I typically frequent is Barnaby's Cafe. Good spot. 7. Who does the cooking in your house? Hands down, my wife. Yeah, I can scramble some eggs here and there. But she cooks a lot! Three meals a day for us and the kids. She's awesome. 8. On Saturdays, do you sleep in or wake up early? Wake up early. Three young kids they don't let you sleep in. It just doesn't happen. 9. If you're on a deserted island and you can only bring one thing, what is it? My first job was at a sandwich and yogurt shop called Hogi Yogi. Every time I say that people laugh, like you're doing right now. I would make subs and frozen yogurts, and I did that for a few years. That was my first job mainly because my mom wanted the discount because we ate there a lot. My parents would come and eat when I was on duty. Nothing! There's really nothing coming to my mind right now. I'm the bug killer in the house. Anytime there's a bug and my wife freaks out, it's my job. I'm training the boys on how to do that as well. Rollercoasters, nah, no big deal. I used to be terrified of the weather - true story. When I was a kid, a tornado went by my house. It was spawned by Hurricane Gilbert. And it spawned half a dozen tornadoes in San Antonio, and one of them went right by my house and scared me to death. I had nightmares about the weather for months. That eventually morphed into my passion for the weather as I started to learn about it. That's one reason that I became a meteorologist. Vanilla bean. It's not even a contest. I'm kind of plain in that way, but it's not even a question. 13. What's your favorite thing to do on the weekends? Just spend time with the family. It's hard to get that quality time in during the week, so on the weekends it's play with the kids and spend time with my wife, go on a date. We have a good time.